Along with the first beta of iOS 11.3, Apple today also seeded the first beta of a new Xcode 9.3 update to developers. Xcode 9.3 introduces a new Energy organizer that's designed to help developers detect when an app or app extension is using up too much battery life on a user's device. The Energy organizer will display logs that are generated when an app exceeds a "reasonable CPU threshold" when running in either the foreground or the background, making it easier for developers to pinpoint and fix bugs. 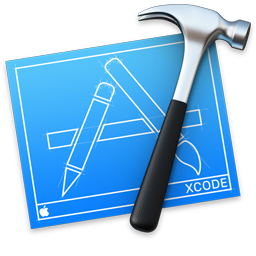 Xcode 9.3's release notes also mention a new 64-bit testing mode in macOS 10.13.4 that will allow developers to test software for 64-bit compatibility as Apple prepares to begin phasing out 32-bit Mac apps. In macOS 10.13.4, end users will see a notification when launching a 32-bit app, which warns them that 32-bit apps will not "run without compromise" in future versions of macOS. Additionally, 32-bit is not offered as an option in Xcode's build settings UI, and the build system will emit a warning when building for macOS for the 32-bit architecture. Xcode has also been designed to run more Swift build tasks in parallel with other commands, improving build times for Swift projects. It may, however, also result in increased memory usage during the build. Xcode 9.3 requires a Mac running macOS 10.13.2 or later, which means the software will no longer run on Macs that continue to use older operating systems like Sierra. Developers can download Xcode 9.3 from the Developer Center. Apple should use their own tools. So instead of fixing the numerous Xcode problems in this release its all about changing developer's code to fix the poor performance that results from Apple's cult like desire to under power devices. In the release notes, there are several mentions besides the energy organizer like parallel Swift processing and a handful of other bug fixes, but if it actually amounts to an more usable IDE or some monster even worse, I can't wait to see. And people think they have it bad because Messages is misaligned to the keyboard sometimes - oh so much worse is the syntax highlighter and autocompletion crashing or hanging every 10 minutes in a medium sized project, with several minutes of waiting or restarts required just to get it back.